Enhancing Connectivity in Northern Pennsylvania proposes to increase broadband Internet connection speeds for community anchor institutions and underserved areas isolated by difficult, mountainous terrain across the northern half of the state. The project will leverage Pennsylvania’s existing microwave public safety communications network by adding a parallel 150 Mbps Ethernet backbone stretching 649 miles across the state, as well as 612 miles of fixed wireless links. The Commonwealth, working with last mile providers, expects to connect at least 530 anchor institutions to this shared backbone and the public Internet. The project will enhance the interoperability of public safety communications across the region, improve health and safety services, and allow emergency medical service providers to connect to trauma and medical specialists quickly and reliably. The Pennsylvania Research and Education Network (PennREN) project is a partnership of leading universities, healthcare providers, library associations, and other key institutions. PennREN will be a nearly 1,700-mile fiber network that expects to expand broadband Internet access and directly connect 60 critical community anchor institutions in 39 counties across South and Central Pennsylvania. These anchor institutions include public and private universities, K–12 schools, public libraries, public broadcasting facilities, and medical facilities. With broadband speeds of 10 Mbps to 10 Gbps, PennREN is expected to enhance healthcare delivery, research, education, workforce development, and public safety. Wholesale services offered are expected to spur the offering of affordable broadband access for more than 2 million households, more than 200,000 businesses, and nearly 1,700 additional anchor institutions. could purchase laptops on zero percent interest plans after completing their broadband adoption training. This project supports activities to ensure the successful direction, implementation, and monitoring of Pennsylvania’s broadband projects and related activities, and transfer the oversight of the state’s existing mapping program from the current consulting organization to the state. The state broadband office will direct the implementation of the state’s broadband plan, coordinate broadband activities across state and local governments, and sustain broadband as a priority planning area for the Commonwealth of Pennsylvania. Pennsylvania proposes this technical assistance program to qualifying organizations that do not have the knowledge or technical expertise to adopt, implement, and sustain broadband solutions. Through a partnership with local community and economic development organizations, and experienced technical assistance providers, the “Kick Start” technical assistance program will provide specific assistance, such as e‐commerce and e‐marketing training, to community anchor institutions and businesses; while fostering and facilitating the implementation of connectivity solutions; computer and information security, disaster planning/recovery and business continuity, supply chain management opportunities, and public computer center setup. After organizations complete the Kick Start program, they will have the opportunity to participate in a two-year intensive training, technical assistance, and implementation program to increase the organization’s use of broadband in order to maximize the impact it can have on their constituencies. Research consultants will conduct broadband cost modeling and develop tools that estimate the costs of deploying and maintaining broadband services in unserved or underserved regions of Pennsylvania . This project will also support a statewide research and benchmarking effort to ascertain, measure, and track barriers to broadband adoption among Pennsylvania manufacturers and evaluating the impact of broadband adoption on growth, productivity, and competitiveness within this sector. The City of Philadelphia is working to close the digital divide by establishing a network of public computer centers to serve the city’s most economically vulnerable residents. The Philadelphia Freedom Rings project plans to create or enhance 77 of these centers, with the goal of providing access for an additional 13,000 residents on a weekly basis. Most of the centers will be located in neighborhoods with the least access to broadband and in greatest need of economic development, specifically neighborhoods in North, West, and South Philadelphia where the child poverty rate can reach 40% and fewer than half the homes have Internet access. The project plans to provide broadband education, awareness, training, access, and equipment by way of these centers located in 19 recreation centers, 10 homeless shelters, 15 affordable housing sites, libraries, and community-based organizations working with high-risk populations, thus driving broadband demand, local economic growth, and job creation. 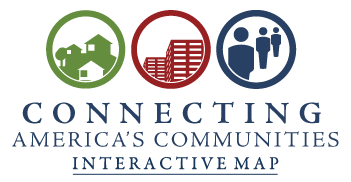 To address the related problems of pervasive poverty and low broadband adoption rates in urban Philadelphia, the Urban Affairs Coalition proposes a strategic outreach, access, and training program targeted to residents with no or limited at-home Internet access. This project intends to focus on the most economically and socially vulnerable populations, including at-risk youth, ex-offenders, public housing residents, seniors, the homeless, and people living with HIV/AIDS through project partners selected for their expertise in serving these groups. 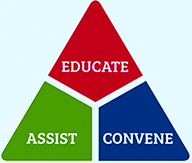 The project includes a four-stage adoption model: (1) awareness; (2) trial; (3) acceptance; and (4) conversion. By distributing 5,000 laptop computers to public housing residents who complete a broadband training curriculum, the project proposes to create a class of broadband adoption ambassadors to illustrate the benefits of access and adoption to the community at large. The Northeastern Ohio and Northwestern Pennsylvania Fiber Ring Project intends to create a 382-mile fiber ring with 10 gigabits of capacity through the counties of Geauga, Ashtabula, and Trumbull in Northeastern Ohio, and the counties of Erie, Crawford, and Mercer counties in Northwestern Pennsylvania. These areas generally have high unemployment and low income and are generally underserved in terms of broadband due to low population density. The project plans to deploy 342 miles of new fiber and 40 miles of leased fiber to directly connect an estimated 60 community anchor institutions at speeds from 10 Mbps to 1 Gbps, including hospitals, schools, public safety agencies, colleges, and libraries.